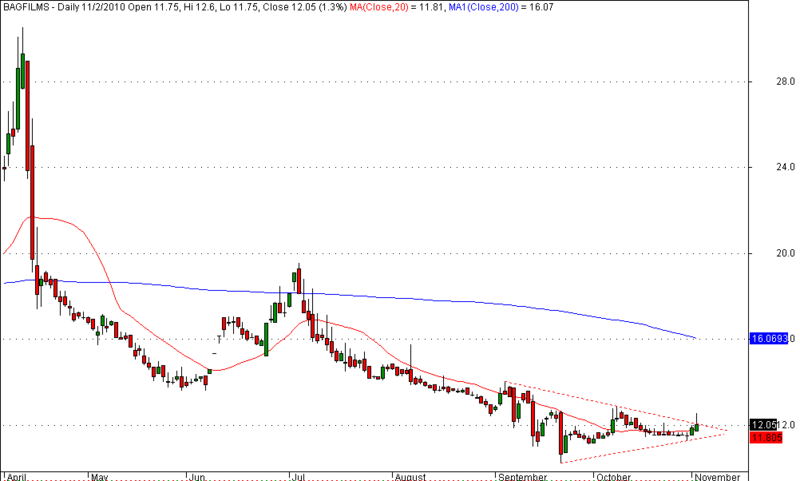 Bag films looks a short term buy @ 12 with stop loss @ 11 . Triangle pattern formed in verge of breakout. 200 MA can be targeted on upside. Bag Films with Daily Buy Signal in Ichimoku Charts with Cloud Support comes near 11.50 Zone. Good. Stock has more liquidity so it will be a good pick.